Toro Zero-Turn Mower TimeCutter MX4200 42"
Toro have released new models where they have removed the luxury features form the mower in which some people may find unnecessary and have been compensated by a cheaper price. Don't worry, if you like those features, they are still available on a different model. Toro are simply just giving you a choice! Those features missing include: - Foot assisted deck lift - 2Hp extra - Deluxe Seat. Although this machine is missing these 3 features they are more of a luxury than an essential aspect of the mower and if you dont require them the money you save is better off in your pocket as this model is perfect. It still features a 42" fabricated deck which is durable and strong! This is the main thing you look at when purchasing your mower, if the terrain is rough or there is a possibility you will knock it on the tree or side of the concrete a fabricated deck is for you! This mower features a 22.5 Toro V-Twin engine that has been manufactured and designed to succeed and excel in the exact conditions this mower was designed for. For more questions please contact us now or drop into the showroom for an inspection today! Toros new 22.5hp V-Twin engine providing quality performance in speed and ability. The engine features a patent pending self cleaning air filtration system to keep dirt for getting to the air filter ensuring an engine that has an increased life span is at your disposal. The heavy duty steel guard protects the engine from anything that may come into contact with it as you mow your lawn. The extra large fuel tank allows you to mow your lawn with fewer petrol stops saving you loads of time! The petrol cap is also easy to locate and fill when needed. The fabricated deck is welded together using plates of 10-gauge steel. Accompanied by the bull nose bumper this deck is as tough as they get. These handy wash out ports are a nice and easy way to wash the bottom of your deck without getting yourself wet! The tow bar kit comes standard on all TimeCutter models, meaning you can attach a trailer to tow fertiliser or even cart wood for the fire. The park brake engages itself automatically when the control arms are shifted outwards. The electronic hour meter helps you to keep track of the amount of hours spent on the machine for servicing and maintenance needs. 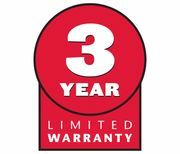 The warranty is for defects in materials and workmanship for three years. We are Ballarats most well known lawn mower and outdoor power equipment specialistis and zero-turn mowers are our bread and butter. For excellent advise and ballarats best prices on zero-turns, call into our showroom on Mair St and speak to one of our friendly staff today. Zero turn mowers have really taken the lawn mowing industry by storm saving customers time and effort as they can easily maneuver around objects like never before. The dual hydrostatic drive system allows for the machine to achieve the feature of a zero turning machine, technology that is reducing the need for lawn tractors and ride on mowers drastically. 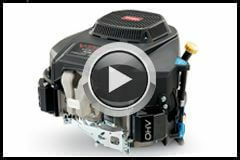 Watch the video above to see how zero turn mowers can shave up to 45% of your mowing time! 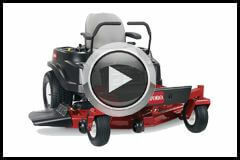 At Henderson Mowers we stock zero turn mowers from Toro and Cub Cadet, check them out below! We are also service agents for Toro, Cub Cadet, Greenfield, Rover and MTD zero turn mowers but also service other units such as Husqvarna zero turn mowers, Hustler zero turn mowers, Kabota zero turn mowers and John Deere zero turn mowers.